The 18th-century result of the cross between an orange and a pomelo was called grapefruit. The name might be intriguing, but it is owed to the way in which the newly born fruit was growing: clusters that reminded people of grapes. The health benefits of grapefruit are varied: it boosts the immune system, helps with gum disease, detoxifies the liver and prevents kidney stones. The fruit varies in color and it can be pink, red, white or yellow. The taste will also differ from color to color, ranging from bitter sweet to sugary. Grapefruits are so great because they are low in calories, which makes them the perfect ally in any weight loss journey. Excellent promoters of clear skin and trustworthy helpers for many diseases, grapefruit is packed with vitamins and fiber. Half a grapefruit contains roughly 38 milligrams of Vitamin C, 1400 IU of Vitamin A and 0.1 milligrams of Thiamin. Rich in minerals, grapefruits are indisputable adjuvants for a healthy lifestyle. Half a grapefruit packs 16 micrograms of folate, 165 milligrams of potassium and 2 grams of fiber. The grapefruit diet is dubbed the Hollywood Diet. Although it might put off most of us with its bitter taste, grapefruit seems to have celebrities eating it non-stop. A 12-week research at the Scripps Clinic discovered that daily grapefruit or grapefruit juice consumption boosts weight loss. The research was conducted on 100 participants who were divided into 3 categories. The three groups consumed grapefruit in various quantities. By the end of the study, some participants shed as much as 10 pounds only by including grapefruit juice in their diet for three months. Another noticeable benefit of this experiment was the insulin level which underwent an impressive decrease. 1. Blood pressure. Promoting healthy blood pressure is among the top grapefruit juice health benefits. Grapefruits are a powerful cocktail of potassium, lycopene, fiber and Vitamin C. These make it an amazing fruit for maintaining a healthy heart. Fresh grapefruit can help stabilize blood lipid levels such as triglycerides. An increased potassium intake will help combat high blood pressure due to its strong vasodilation effects. 2. Cancer prevention. Pink grapefruit health benefits also involve preventing free radicals formation, which are the main cause of developing cancer. Paired with Vitamin C, the powerful antioxidants and lycopene will help decrease some conditions, such as prostate cancer or esophageal cancer. 3. Skin. Health benefits of red grapefruit include smoothing rough skin and help with dry patches. Packed with vitamin C, grapefruit is excellent for neutralizing dark patches on knees and elbows. The mild acid in it will help by reducing skin pigment production. Grapefruit is beneficial for the skin when applied topically but also when it’s included in daily meal plans. This citrus supports us in fighting damages made by Sun exposure and by pollution. Grapefruit juice also helps to prevent and reduce fine lines and wrinkles, keeping the skin looking younger for longer. The Vitamin C in grapefruit has a paramount role in collagen production. Grapefruit also offers hydration and Vitamin A, both of which are essential for glowing skin. 4. Asthma. Children suffering from asthma could greatly benefit from eating grapefruit on a daily basis. Recent studies found that fruits that are rich in vitamin C can assuage wheezing symptoms and can calm whooping cough and runny noses. These benefits also make grapefruit a strong ally against the common cold. 5. Digestion. Health benefits of grapefruits cover digestive disorders too. Grapefruit juice has been found to help digestion by accelerating the gastric juices flow. Consumed on an empty stomach, grapefruit will help with digestion while making you feel full faster. The fruit can be consumed with the pith if you need more fiber to help with bowel movements. 6. Gum disease. If you’ve been having trouble with bleeding gums, you might want to start incorporating grapefruit or grapefruit juice in your diet. A study carried out over 2 weeks showed that daily consumption of two grapefruits decreased gum disease. By boosting vitamin C levels, grapefruit helped with periodontal disease. 7. Kidneys. The British Journal of Nutrition published a study, which showed that women who drank between half a liter to one liter of grapefruit juice decreased the risk of developing kidney stones. Besides grapefruit, apple or orange juice is also a great adjuvant in helping citric acid being excreted, which, in its turn, prevents stones from forming. 8. Pregnancy. Pregnant women usually head straight towards supplements to make sure they get enough nutrients. Grapefruit is excellent for promoting a healthy pregnancy since it helps bone growth and maintains cell strength. The high levels of folate, vitamin B and vitamin C keep birth defects at bay and enable the baby to develop harmoniously in the womb. Grapefruit can easily be found in supermarkets all around the year, so you don’t have to plan your diet according to its peak season. When you’re choosing grapefruits, pay attention to the bright skin which should feel firm yet resilient to pressure. A healthy, fresh fruit will feel very heavy for its size and will have no wrinkles. Soft grapefruits are probably withering within, especially if they don’t give off a sweet aroma. Once you’ve bought your grapefruits you can keep them in the fridge for as long as three weeks. If you’re planning a grapefruit detox, you should always have the fresh fruit at hand. There are a plethora of recipes out there for including grapefruit into your diet through salads, smoothies, juices or shakes. Before you start preparing them, make sure to rinse them with cool water to get rid of dirt and harmful residues from pesticide. The health benefits of grapefruit juice are famous by now. 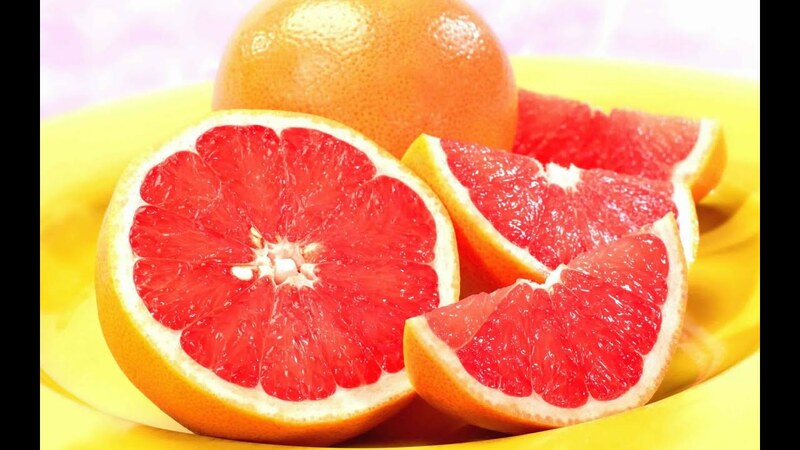 An excellent remedy for insomnia, fatigue and diabetes, grapefruit is an important addition to any balanced diet. However, this fruit is not without its drawbacks. Since it boasts an enzyme binding ability, it can actually interfere with certain medication. This means that the medicine goes into your bloodstream faster or slower than it normally would. Before taking on any new medication, consult your doctor to check if the drugs interact with your grapefruit diet.